My parents are dead, too. and slough, but the city remains. glitter kisses at grim Justice? to kill him for better reasons. hiding a gun in its mouth. Today’s poem first appeared in Issue Four of Cherry Tree, February 2018, and is reprinted here with permission from the poet. Nicky Beer is the author of The Octopus Game (Carnegie Mellon, 2015) and The Diminishing House (Carnegie Mellon 2010), both winners of the Colorado Book Award for Poetry. 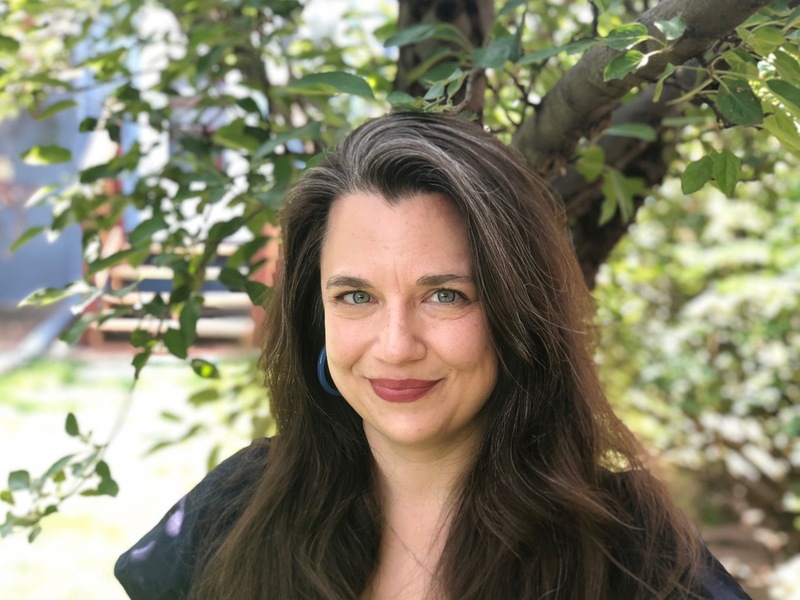 She has received awards and fellowships from the National Endowment for the Arts, the Poetry Foundation, the MacDowell Colony, and the Bread Loaf Writers’ Conference. She is an associate professor at the University of Colorado Denver, and a poetry editor for the journal Copper Nickel. You can find her on Twitter at @nbeerpoet. Guest Editor’s Note: As with all epistolary poems, this one is meant not only for the recipient—in this case Bruce Wayne—but is addressed to readers located in this complicated and frustrating time and place in history. The first line is reminiscent of a fan letter, choosing a shared experience between fan and celebrity that brings them together in some way, but the feeling that they are kindred spirits stops there. What follows in that stanza are philosophical questions about death and justice in the voice of someone who needs to find an enemy to rail against and a tragedy to seek retribution for in order to feel heroic power associated with that “Lucky boy” in line 14. The first stanza braces the reader for more questions for this hero who everyone has been led to believe fights diabolic evil in the world wherever it rears its head and who seems to have misunderstood what it is he is fighting against. The two stanzas that follow further distance the hero from the letter writer and anyone who holds him in heroic esteem. The second stanza brilliantly questions Mr. Wayne about what really bugs him about the Joker and suggests that perhaps he harbors some jealousy for the evildoer’s colorful style, reducing the Batmobile to a “sweet ride” that can only leave “a little fart of flames / in its wake.” The speaker uses some cunning psychoanalysis on the Caped Crusader, deflating his motives and weakening his stature as a revered hero. The third stanza reveals truths women have always known about the nature of this “dirty, self-cannibalizing Gotham” we live in and how women cope every day in a world that “is a dark alley / hiding a gun in its mouth.” The final lines are a punch just below Batman’s utility belt that knocks the air out of his alter ego, reducing him to a bruise that wanes. Want to read more by and about Nicky Beer? Guest Editor Anne Graue is the author of Fig Tree in Winter (Dancing Girl Press), and has published poems in literary journals and anthologies, including The Book of Donuts (Terrapin Books), Blood and Roses: A Devotional for Aphrodite and Venus (Bibliotheca Alexandrina), Gluttony (Pure Slush Books), The Plath Poetry Project, One Sentence Poems, Random Sample Review, Into the Void Magazine, Allegro Poetry Magazine, and Rivet Journal. This entry was posted in Nicky Beer, Saturday Poetry, Saturday Poetry Series and tagged Advocacy Poetry, American Gothic Poetry, American Poetry, Confessional Poetry, contemporary poetry, Feminist Poetry, Intertextual Poetry, moves in contemporary poetry, Narrative Poetry, Poetry, Poetry of Loss, poetry review, poetry reviews, resistance poetry. Bookmark the permalink. “//Every woman is Batman.” Yes!